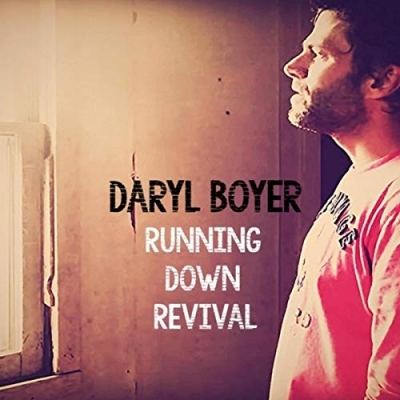 Chart topping recording artist Daryl Boyer is excited to announce the release of his new single and video "Running Down Revival" to Radio and YouTube. Boyer's #1 hit single "Never Looking Back" graced the top of the CMW Country Christian charts for 24 weeks in 2017/2018. The new single which is also aimed at Americana/Christian Country listeners and stations, comes as a response to the many requests from radio and listeners to another song in growing Christian country genre. "Running Down Revival'" is a toe-tapping, powerful song about stepping out of brokenness, pursuing freedom, dropping chains and running into the revival fire of God, and in many ways mirrors Daryl's own testimony of finding freedom in Christ. “Running Down Revival" is a song that speaks to the core of our spirits, to the need to run hard after the Lord. Without a purpose and a direction, we can not hope to make it very far past our own feeble efforts. When our attentions are rooted in the revitalizing, reviving power of the Lord, we can truly reach levels we’ve never dreamed of" Boyer affirms. "God is calling all of us to go deeper and separate ourselves from the notion of looking as much like the world as we can get away with. As we focus on giving ourselves fully to Him and His perfect grace, we will begin to see the fire of revival changing our heart” Boyer declares. "The artist I admire is Josh Turner, for choosing to bring a focus back to God in Country music" Boyer continues. "There is a huge market for that sound, and people who like Dierks Bentley, Jason Aldean, Keith Urban and even Brad Paisley will resonate with the sound of this new single." Boyer comments. Boyer, whose sound has been compared to Zach Williams, Third Day, and Jason Gray released his previous 2016 album, The Cleansing to glowing reviews and media coverage in such outlets as Breathecast, Hallels, UK's Crossrhythms and Never For Nothing, is currently prepping for the release of his EP, Love Reigns on the indie label New Hope Records in 2019. He is also looking forward to an appearance on CornerStone TV this spring, and other upcoming media opportunities. Boyer was busy this last summer and fall, touring and opening up for the likes of Brothers McClurg and Dave Pettigrew among others.